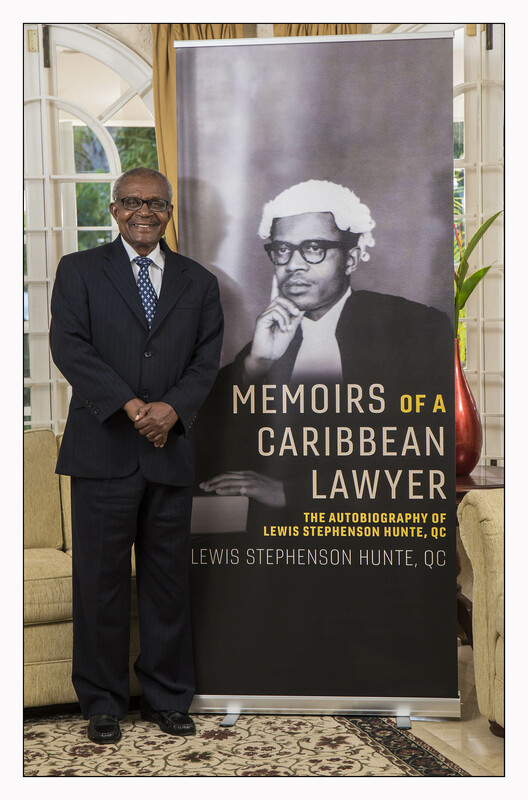 Memoirs of a Caribbean Lawyer: The Autobiography of Lewis Stephenson Hunte, QC traces the life and times of Barbados born lawyer, Lewis Stephenson Hunte, Q.C., from his ancestral background to the pinnacle of his career. Memoirs is a cleverly-written account of Hunte’s life as a school boy in mid-twentieth century Barbados and follows his journey as a teacher, almost Anglican priest, law student, civil servant, magistrate, legislative drafter, Attorney General, private practice lawyer, acting judge and Queen’s Counsel through Barbados, London, Jamaica and, ultimately, his home in the British Virgin Islands. In many ways this work is much more than a recount of the life of the author. It is equally applicable to those of us who grew up in the Caribbean after emancipation, the generation that laid the building blocks of our countries for the independence movement that swept through the region in the 1960s ... Mr. Hunte, in this work, gives a concise history of the famous International Business Companies Act of the British Virgin Islands, which should be of assistance to those scholars who wish to engage in research of the history of the financial service industry in the Caribbean. For the student and the researcher, a full and accurate account of the history of the International Business Companies Act of the BVI is given in Chapter XIV. This story is being told as no other person will ever be able to tell it. It has been recounted in great detail as some persons, in attempting to write the history of this landmark piece of legislation, have twisted the facts and have thus rendered themselves ‘twistorians’ rather than historians! They have not done so with any mischievous intention; they simply did not know, and it is time that the facts be published. Memoirs of a Caribbean Lawyer, told with Mr Hunte’s special brand of wit, is certain to delight readers far and wide. The book is available now in Soft Cover and as an E-Book on the Memoirs Website and on Amazon. A Special Edition Hardcover will be available in December 2018. A self-narrated audio version of book is currently in production and will also be available in December 2018.